If you are feeling tired of the winter blues already and are looking for that ultimate escape where you can revitalize your senses and indulge in an experience unparalleled to any other, then this is your chance. There will be no better time than right now to discover the wonders of East Africa and the best place to do this is by starting at one of the most famous countries. Yes, we are talking about none other than the wonderful Tanzania. Get ready to hike to the top of the highest mountain in Africa, explore the history and indulge in the ultimate safari experience. This is also the place that boasts Kilimanjaro which is the highest mountain in Africa and thousands of tourists rush to book their tickets to Tanzania! If you are looking for an escape from the noise and all the worries that envelops you then this is just the right place for you. Here are some of the attractions that people from all over come to visit Tanzania for and those that you definitely should not miss out on! Known as Tanzania’s primary attraction, the Serengeti National Park has wowed people for many many years. 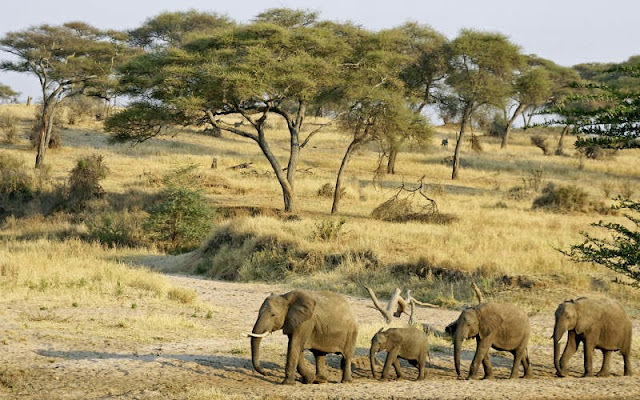 One glace at this park and you would know all the reasons why this national park is set a part from all the other ones including Selous National Park, Tarangire Park and several others. Hence this national park should be one of your first stops after landing in Tanzania. If you are thinking that Tanzania is filled with boring natural attractions then you do not know how wrong you are. This is because Tanzania is filled with countless archeological and breathtakingly beautiful historical places that are sure to leave you mesmerized. Although there is a lot to see at Tanzania however some of the places that you should keep in mind are Laetoli, Kalambo Falls, Palace of HunsuniKubwa and last but not the least Kubwa. In addition to this the Stone Town in Tanzania is going to be worth visiting as it lets you unveil all those secrets that everyone wanted to know. What is most surprising is that Tanzania is actually one of the places with some of the most beautiful white sandy beaches. This is your chance to lie back and relax underneath the soaring sun and get the perfect tan which would make everyone green with envy. This is one of the largest national parks in the country and is surely going to be worth your time and mey because it is filled with numerous animals such as lions, leopards, wild dogs, cheetahs, zebras, giraffes, foxes and jackals. This is your chance to get up close and personal with these amazing creatures. Revel in the beauty of nature and the surrounding wildlife for the first time so search low fares flight to Tanzania and experience your ultimate African escape. The tourists who are looking for a less crowded place to explore should definitely visit the Pemba Island as this is also perfect for all those divers who are eager to explore the untouched coral and very rich marine life. Jeff Alexander is the article/content writer for worldwide holiday destinations. He is working with Travel House UK (rated 4.3/5 on reviewcenter), the company lets you compare your cheap flight deals from all major airlines that you want to bargain for your travel.